The objectives were to identify subgroups of women with arthritis based upon the multi-dimensional nature of their pain experience and to compare health and socio-demographic variables between subgroups. 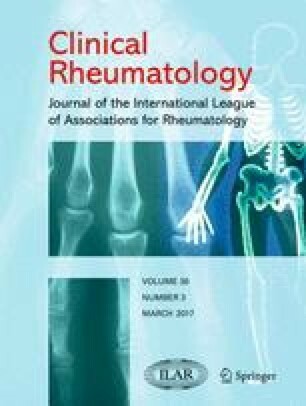 A latent class analysis of 227 women with self-reported arthritis was used to identify clusters of women based upon the sensory, affective, and cognitive dimensions of the pain experience. Multivariate multinomial logistic regression analysis was used to determine the relationship between cluster membership and health and sociodemographic characteristics. A three-class cluster model was most parsimonious. 39.5 % of women had a unidimensional pain profile; 38.6 % of women had moderate multidimensional pain profile that included additional pain symptomatology such as sensory qualities and pain catastrophizing; and 21.9 % of women had severe multidimensional pain profile that included prominent pain symptomatology such as sensory and affective qualities of pain, pain catastrophizing, and neuropathic pain. Women with severe multidimensional pain profile have a 30.5 % higher risk of poorer quality of life and a 7.3 % higher risk of suffering depression, and women with moderate multidimensional pain profile have a 6.4 % higher risk of poorer quality of life when compared to women with unidimensional pain. This study identified three distinct subgroups of pain profiles in older women with arthritis. Women had very different experiences of pain, and cluster membership impacted significantly on health-related quality of life. These preliminary findings provide a stronger understanding of profiles of pain and may contribute to the development of tailored treatment options in arthritis. The research on which this paper is based was conducted as part of the Australian Longitudinal Study on Women’s Health, the University of Newcastle, and the University of Queensland. We are grateful to the Australian Government, Department of Health, for funding and to the women who provided the survey data. This work was supported by the Hunter Medical Research Institute, supported by the Lions Club of Adamstown Research Project Grant. Katie de Luca acknowledges the receipt of the Australian Postgraduate Award Scholarship and COCA Research Limited Top up Scholarship contributions. Professor Gillian Hawker is acknowledged for her contribution to the design of the sub study survey. This work was supported by the Hunter Medical Research Institute, via the Lions Club of Adamstown, NSW Australia (grant number HMRI 11-35). KD, LP, FB, and JB made substantial contributions to the design and the acquisition of data. KD and AD conducted the statistical analysis. All authors made substantial contributions to the interpretation of data, have been involved in drafting the manuscript, and have given final approval of the version to be published.